We are talking today with Dennis Howren, owner of Howren Music in Gastonia. GA: Dennis, how long have you guys been in Gastonia-what’s your history? Dennis: My dad taught instrumental music at Belmont Central High School. He saw the need first hand for students to have affordable, quality instruments. He started Howren Music in 1950 and began supplying instruments throughout North and South Carolina. GA: So you rent and sell band instruments? Dennis: Parents are extremely supportive of their student’s interests and activities, especially when it involves the arts. For 68 years we have refined our programs to fit into any family budget. Whether you rent or buy we will supply you with the perfect fit. GA: Are the plans flexible? Dennis: We have a monthly Rent-to-own plan whereby you can rent the instrument for as long as you wish with all rental payments applying to the purchase. The “Rental” feature allows you to return it if the child wishes to pursue another activity. But if you rent it long enough you’ll own it. We also have a 12-month payment plan with a return option and a buyback feature, as well as two Cash Discount programs where you will save hundreds of dollars. 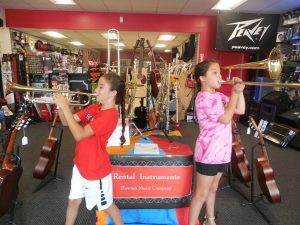 GA: What is the one thing most parents want to know about renting a band instrument? Dennis: Some parents simply want to know the bottom line. Others want to know they are getting a quality instrument. But the trend today is “Do I want to deal with a cold National Chain, take a chance online, or do I want to deal with my local, neighborhood company?” Howren Music has been in the Gaston schools for decades. If you want to speak to the owner you can always reach a Howren. We’re here, we’re accessible and we’re ready to help. Try that with a national chain. GA: Do you rent instruments for band and orchestra? 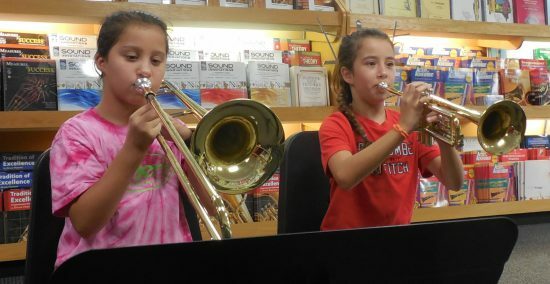 Dennis: Unfortunately Gaston County Schools does not have orchestra programs but they have some fantastic bands and we supply Instruments, Accessories, Repairs and Lessons. But we also have orchestra instruments and rent them as well. GA: Is the Rent-to-own program the way to go for most parents? 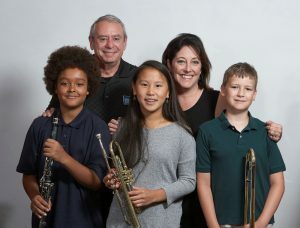 Dennis: There is no way to know how long your child will stick with band and parents don’t want to end up with an instrument that no one plays. Our Rent-to-Own program allows you to rent an instrument monthly. You can return it at any time and have no further obligation. However, if your student loves it and sticks with it you will eventually own it as all payments apply to the purchase price. We also offer a Repair and Replacement agreement that maintains the playability of the instrument. Middle schoolers and moving parts. . .yeah you’re gonna have repairs. But don’t worry, our certified repair department has seen it all. We’ll get your child’s instrument back to like new condition in short order. GA: What do parents need to do to insure they have an instrument for their child? Dennis: Simple – They can go to www.howrenmusic.net and rent online or they can drop by the store on Garrison Blvd or in Charlotte to pick one up. The process is quick and streamlined. They can also secure any accessories and the beginner book. Look at the students on the front cover. They all just started their path to being musicians. They have a real, quality instrument and they are excited, motivated, involved and ready to play. . . Music!